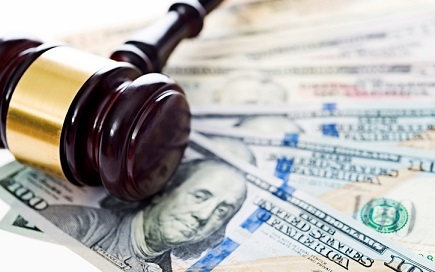 Nationstar Mortgage has been hit with a $1.75 million fine for violating the Home Mortgage Disclosure Act – the largest penalty ever for an HMDA violation. The Consumer Financial Protection Bureau announced the fine Wednesday. According to the CFPB, Nationstar consistently failed to report accurate data about mortgage transactions for 2012 through 2014. The size of the penalty reflected Nationstar’s “market size, the substantial magnitude of its errors, and its history of previous violations,” the CFPB said. In fact, the company has been on notice about its compliance problems since 2011, the agency said. Nationstar is a wholly owned subsidiary of Nationstar Mortgage Holdings, which has nearly 3 million customers nationwide. Nationstar was the ninth-largest HMDA reporter by total originations in 2014. Between 2010 and 2014, the company’s number of HMDA mortgage loans shot up nearly 900%. The HMDA is a 1975 law that requires many mortgage lenders to collect and report data about their lending to certain federal agencies and make it available to the public. The data is used to assure that financial institutions are serving their communities’ housing needs and to help identify possible discriminatory lending practices. According to the CFPB, a review found that Nationstar’s HMDA compliance systems were flawed, and were generating data with “significant, preventable errors.” The company also failed to maintain detailed data-collection and validation procedures and failed to implement adequate compliance procedures, the CFPB said. And Nationstar has a history of non-compliance with the HMDA. In 2011, the company settled with the state of Massachusetts over violations of the law. However, the CFPB found significant error rates even after that settlement – 13% in 2012, 33% in 2013 and 21% in 2014.